Each of our five cabins has a rustic, log-cabin exterior and screened patio for you to enjoy a quiet evening in or your early morning coffee. 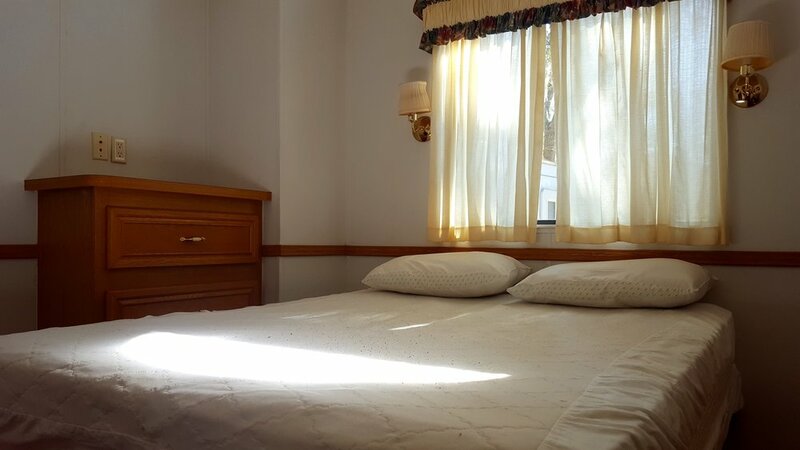 While basic amenities are provided, guests are encouraged to bring their own pillows and linens. See "Amenities" or call us today for details. 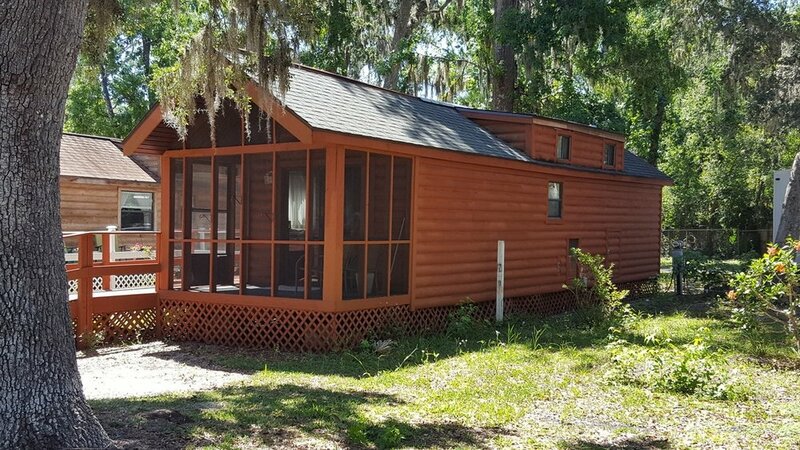 There is a fully refundable security deposit required for cabins, and all deposits will be refunded upon check-out after cabin inspection. We ask that you kindly leave the facility in the same condition you found it. 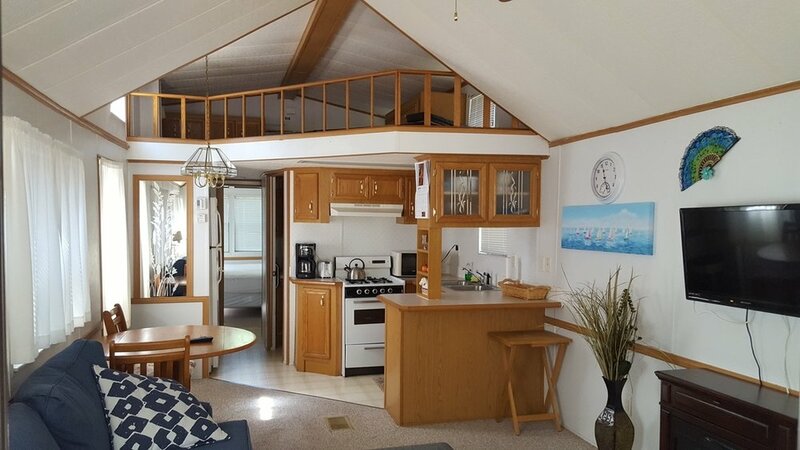 All cabins have toilets, showers, heating, and air conditioning. 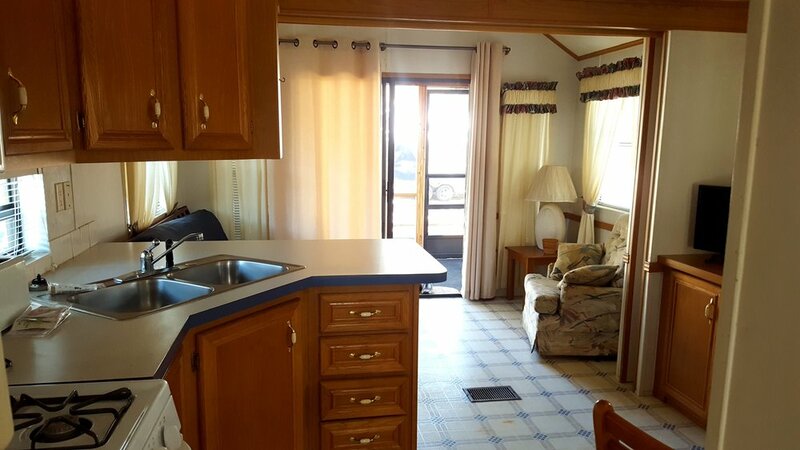 Each comes fully furnished with a bed(s), couch, TV, and basic kitchen supplies (plates, cups, utensils, etc). Bedding is available for an additional charge, just mention what you need when you make your reservation and we'll take care of it! All of our cabins are non-smoking.